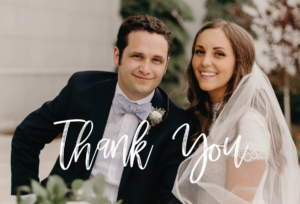 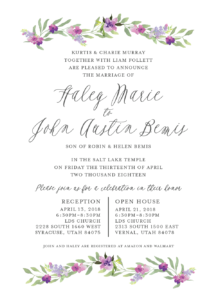 At Utah Announcements, we are experienced in helping clients create the wedding invitations of their dreams without busting your wedding budget. 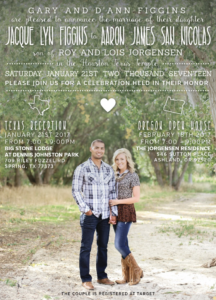 Get the invitations you really want at an affordable price, without the cheap look. 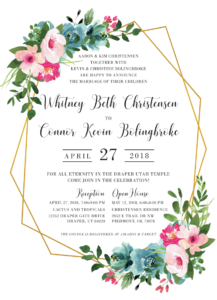 Cheap wedding invitations can come across as tacky. 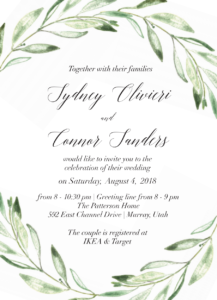 We’ve all received wedding announcements from someone who was clearly trying to cut corners. 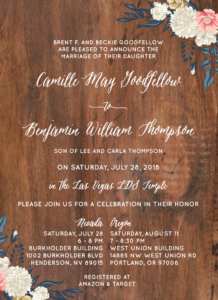 It looks bad, and it sets the stage for a lackluster wedding. 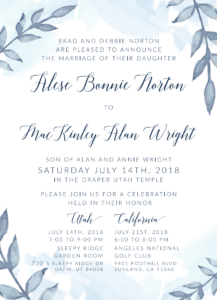 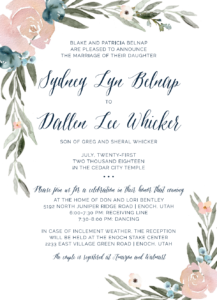 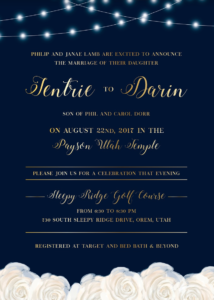 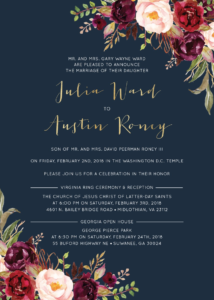 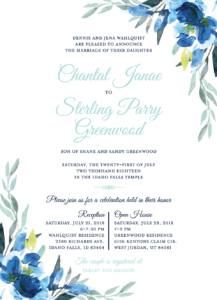 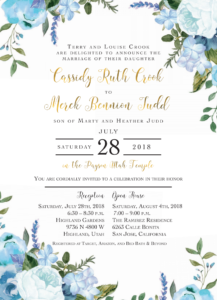 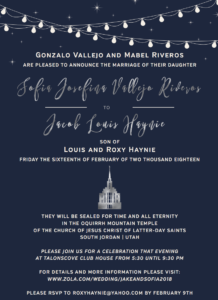 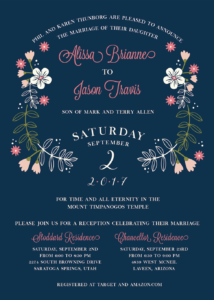 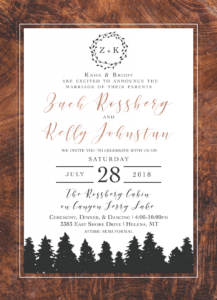 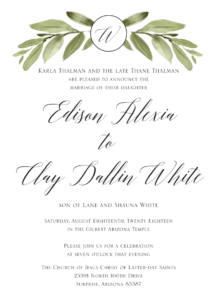 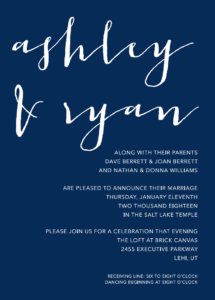 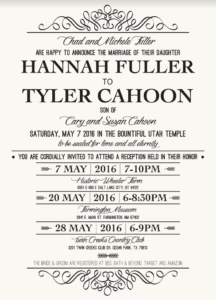 If you want to impress your guests with a great looking invitation that coordinates with your overall wedding theme, you’ll want to work with Utah Announcements, the invitation maker that aces the look at a reasonable price. 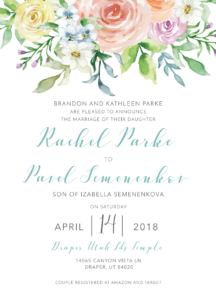 Yes, it’s possible to get a stunning invitation design at a price even your future mother-in-law will approve. 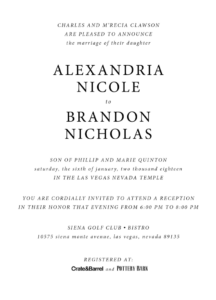 Incorporate high-end style details into your basic invitations to give a sophisticated air without breaking the bank. 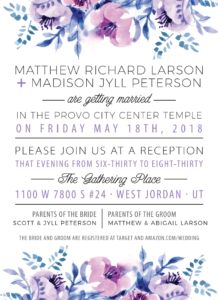 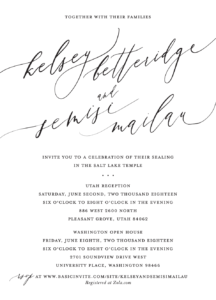 Utah Announcements can help you with a variety of upgrades including foil stamping, transparent invitations, full-color matte finishes, matching RSVP cards and inserts, and more! 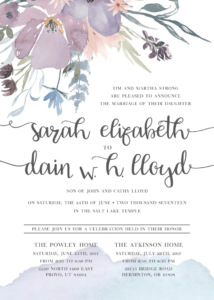 Whittle down your list of guests to save not only on the costs of invitations but everything else for your big day. 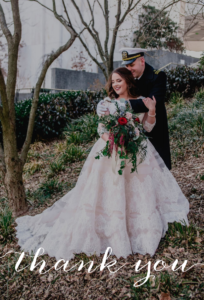 Cutting costs to make it extra special and intimate for a select few can be the right move for couples that are looking to save money and have a very private, low key wedding day. 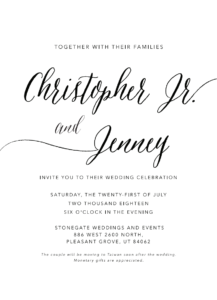 Plan way ahead to take advantage of cheaper shipping costs and standard turnaround times for invitation design. 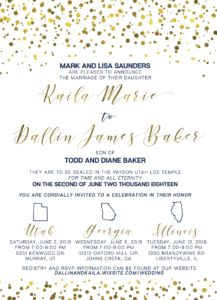 Bonus, you’ll be saving yourself a lot of anxiety by having your invitations ready to go and out of the way well in advance. 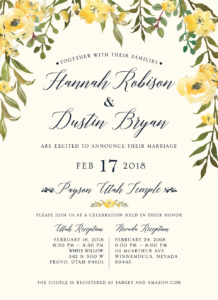 With all these money and time-saving options, you’re sure to get the wedding invitations you dream of. 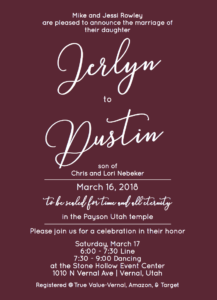 Just say “I do” to Utah Announcements!